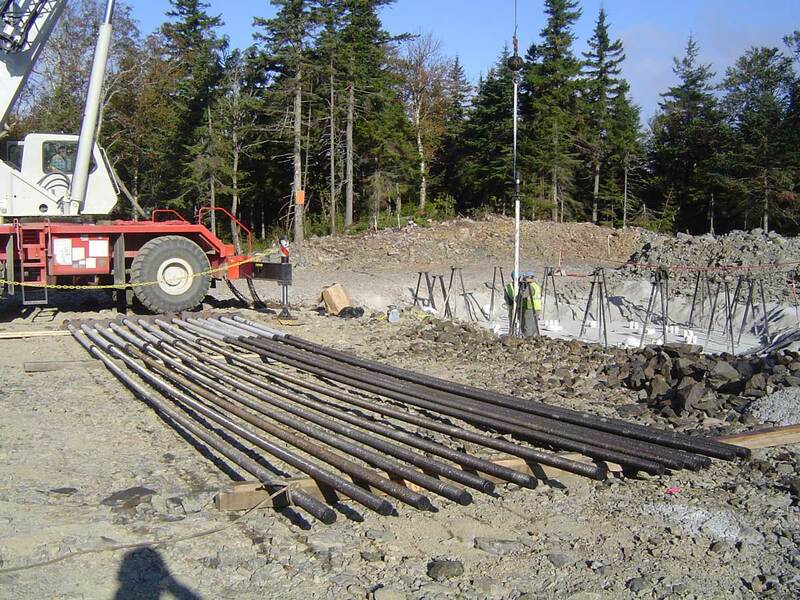 Forty-four wind turbine foundations required MD&B to install 616 rock anchors at 40 to 50 feet in length. Furnished, installed, and pull tested per an aggressive schedule spanning a Maine Winter. The aggressive schedule for road construction and turbine erection required MD&B to respond quickly to varied workload and winter conditions in order to stay efficient and meet the production rate required with a high degree of quality. The 3-inch diameter anchors required installation in 7-inch diameter drill holes and pull tested to over 700,000 pounds. MD&B met the challenge by creating and executing a plan using the right equipment and highly trained personnel. All the anchors were proven through the pull testing phase to meet the foundation designer's needs. 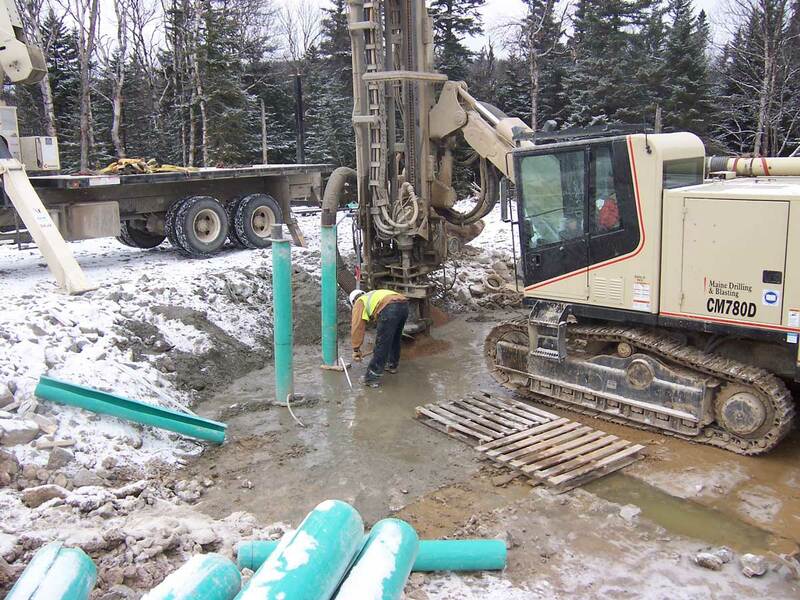 This (Maine Drilling & Blasting) is the only construction company that has played a role on both of the prime contractors' teams. 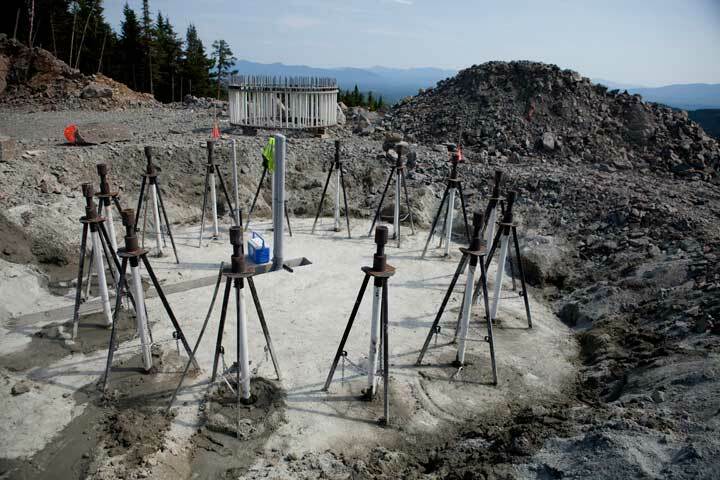 Their knowledge of how to safely clear bedrock obstacles and anchor transmission poles and turbine foundations to the earth is absolutely critical to ensuring that the structures we are building can stand up. I cannot emphasize enough how important their safety program and the skill of their workers has been to this project, given the nature of their work." Christopher J. Bolton - Mt. 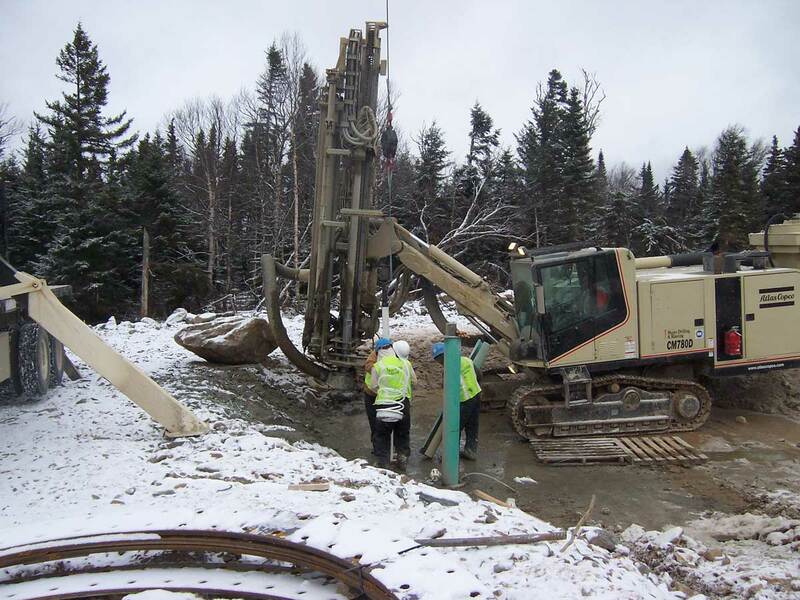 Williams Inc.
Just want to take the time to thank you for the most recent drilling and blasting done at our quarry in Weare, NH. 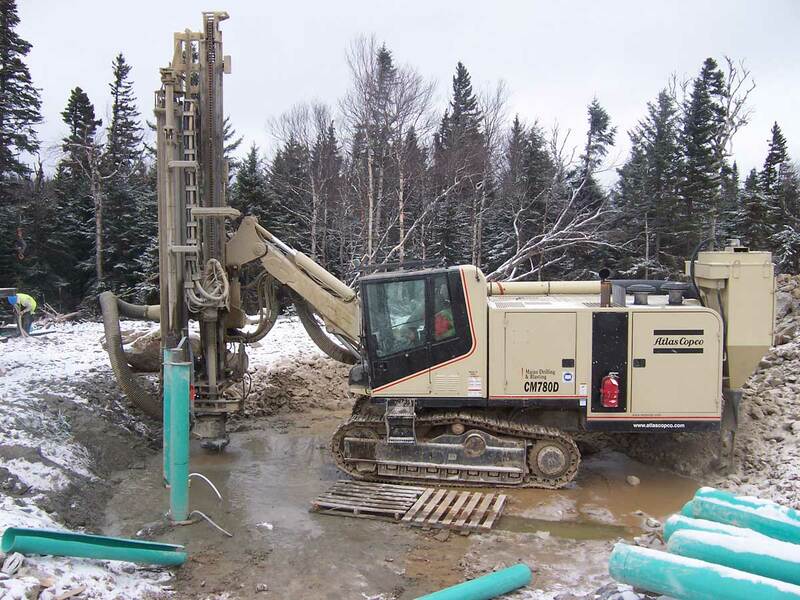 In the past, we have had different drilling and blasting companies perform blasts at our site. 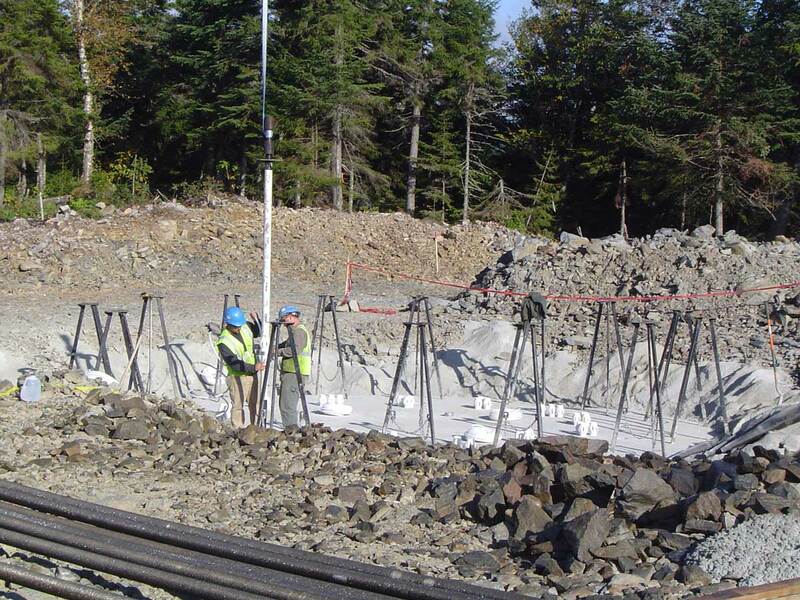 Several years ago, we decided to give Maine Drilling & Blasting a shot. We have had mixed results, but this most recent shot was executed flawlessly and in a safe, timely and professional manner. With these most recent results exceeding previous shots, it has made our job easier and our crushing operation more efficient. Once again, thank you very much for a job well done and we look forward to working with you again to achieve similar results."